This unique corner loft has a skyline view from the living room and tall windows on three sides that provide a ton of natural light! Converted warehouse charm with high ceilings & exposed concrete pillars. The floorplan is a dream for entertaining. The gourmet kitchen has stainless appliances and lots of counter space including both a center island and a breakfast bar, plus plenty of room for a large table in the informal dining room. Quiet cork floors in the main living space. The spacious elevated master bedroom has a walk-in closet and private full bathroom. In-unit washer dryer and four large closets for storage. Includes three parking spaces--one in the heated underground garage and two permits for adjacent parking lot. 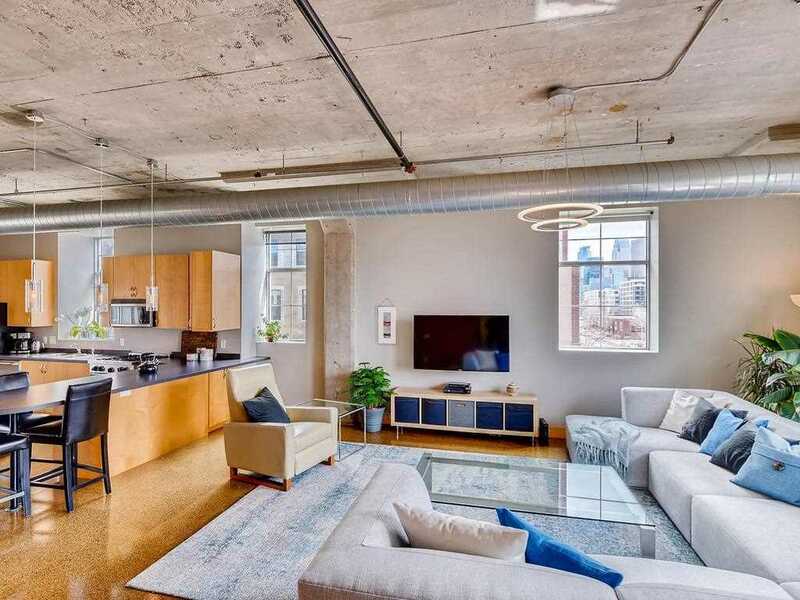 918 Lofts has a shared exercise room and is located in the desirable North Loop, within walking distance of Target Field, night life, restaurants & coffee shops. I was searching for a Property and found this listing (MLS #5211774). I would like to schedule a showing for 918 N 3rd Street #204 Minneapolis, MN 55401. Thank you! I was searching for a Property and found this listing (MLS #5211774). Please send me more information regarding 918 N 3rd Street #204 Minneapolis, MN 55401. Thank you! MLS® 5211774: This property at 918 N 3rd Street #204, Minneapolis, MN 55401 is located in the North Loop subdivision and is listed for $509,900. MLS® 5211774 has been on the market for 13 days.